Although it’s winter, we can’t hibernate indoors forever! We have to continue to exercise and keep our bodies in good shape. If the cooler temperatures are deterring you from your gym routine, it’s time to get fit right under your own roof! With new and improved gym equipment on the market, it has never been easier to stay fit even during the chilly months. We’ve compiled a list of the best gym equipment currently on the market. It’s time to turn your basement or spare bedroom into your very own home gym! Oh, and the best part? All of the items can be found on Amazon! Exercise balls are great mainly because of their versatility. Not only can they improve balance, but they also help stretch out muscles. The Dynapro Exercise Ball boasts anti-burst casing and quick inflation. Worry you’ll pop it? Don’t fret, this ball can support up to 2,000 pounds! Whether you’re a fitness pro, or just starting out, this exercise ball will be your best friend for all things exercise. 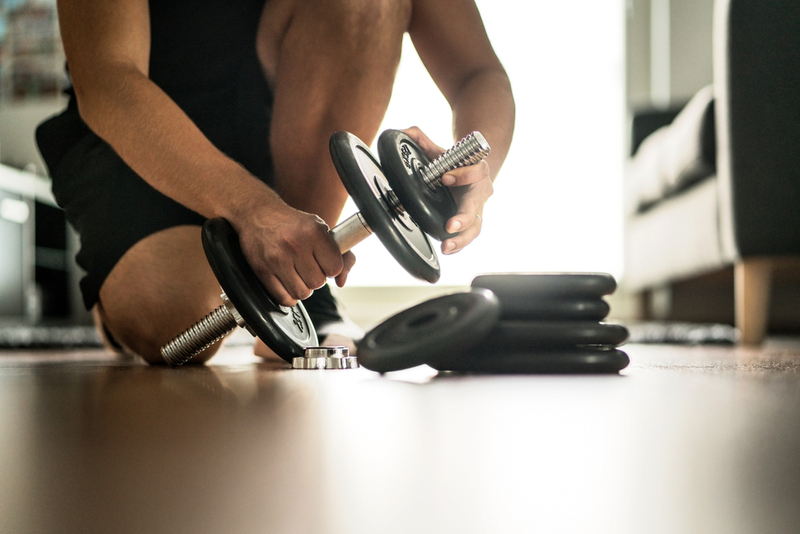 As many of you may know, weight training is crucial for both muscle gain and cutting weight. The SPRI Deluxe Vinyl Dumbbells come as a set of two in various color choices. The non-slip vinyl coating won’t ruin your floors, and they’re easy on your hands as well. This piece of equipment is also known for its versatility. Resistance bands are another must, especially for at-home workouts. We recommend the CUXUS Resistance Band Set because it offers 11 total pieces, including 5 color resistance bands. The strong steel and natural latex ensures this set will last the test of time. The Yellow band is 5 lbs, Green is 10 lbs, Red is 15 lbs, Blue is 20 lbs, and Black is 25 lbs. We hope you get fit this winter by staying active with your own home gym. Keep moving and exercise on!